This set up includes 2 straight returns with a pedestal, each connected through a pennisula desk in the center. This is a great way to create a collabrative workspace in a small office while still allowing for indiviual work space! 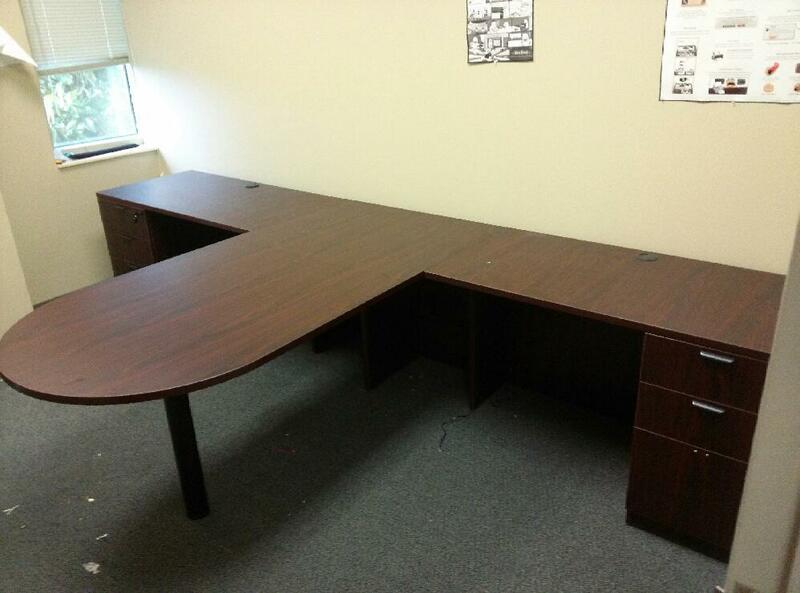 I would like to receive pricing for the following item: BFW Custom Double Desk.